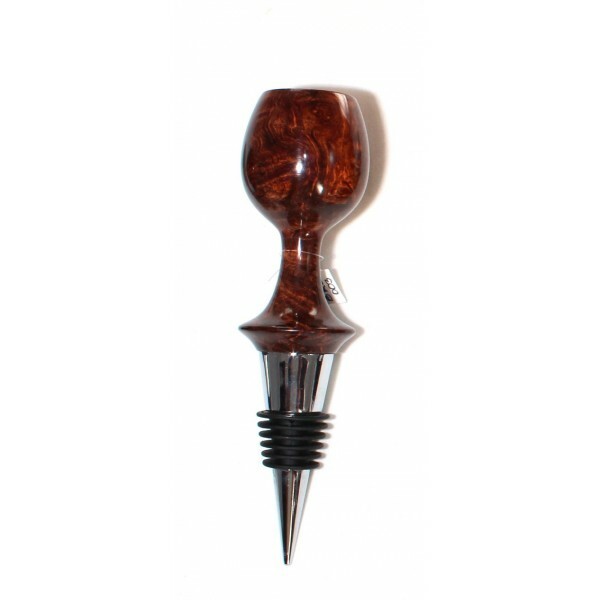 Presenting one of our unique and beautiful bottle stoppers to a favorite wine lover will be a guaranteed hit. The top has been turned from a piece of rosewood burl and the stopper itself is made of chrome plated steel. This unique, handmade stopper will be a keepsake as well as a valuable instrument, for many years to come. The pictures that you see are from example bottle stoppers, the one that you recieve will be the similar size and style but, it will have some differences in the grain of the wood due to the uniqueness of each piece of Belizean Hardwood.